The long established, prolific and always dependable Henrik ‘Nordvargr’ Björkk, has teamed up with Margaux Renaudin – a name I do not recognise. 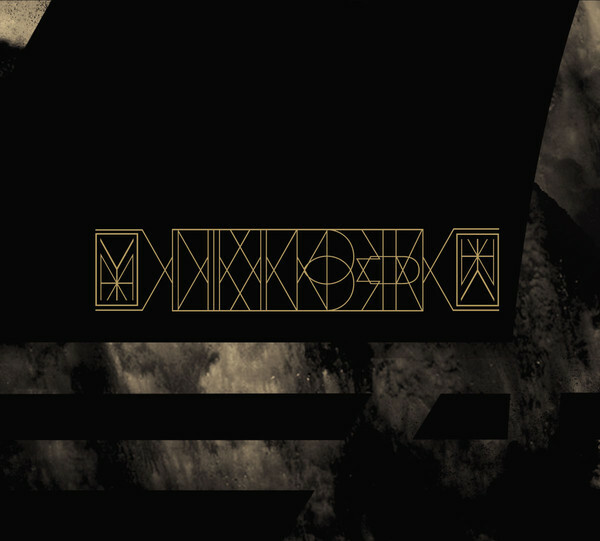 Despite this unfamiliarity with one half of the collaboration, from the outset it is worthwhile acknowledging that ‘Anima Nostra’ is not too far removed from the sonic worlds Nordvargr inhabits, but equally that it is slanted towards the ritual/ rhythmic/ sub-orchestral sounds of MZ.412. The pairing of opening tracks ‘Sunyata’, ‘Spiritus Omni’ take no time in setting the scene with driving tribal/ ritual percussion, guttural vocal chants, ominous sub-orchestral drones and drawling horns of death. Simply magnificent. ‘Morning Star’ is then a surprise feature, (being a reworking of an MZ.412 track), where the driving tribal/ ritual percussion and ominous droning foghorns of the original has been augmented with booming sub-orchestral horns, sweeping noise and additional vocals (both whispered and electronic treated). A further pairing of ‘Kmt’ & ‘Runik Haxagram II’ present high calibre abstract, ritualised/ percussive dark ambient soundscapes, while ‘Gjallarhornet Ljuder’ steps up with a track of sonically forceful, multi-layered power-drones. ‘Lavenement du neant’ functions as a particular album standout, which mixed a lamenting and extremely cinematic neo-classical melody, spoken female French vocals (assuming this to be Margaux Renaudin?) and driving poly-rhythmic tribal percussion. Absolutely sublime. Final album offering ‘Maladia Skandinavia’ sprawls out over a 9 minute expanse, and although ‘drone’ in intent, the tolling church bell and focused melodious chants (which themselves have been further treated into a droning texture), are further offset by rolling ritual percussion and forceful sub-orchestral tones. Apart from being one of the strongest examples of ritual and neo-classical tinged dark ambient in recent memory (as well as being the closest Nordvargr has come to date in emulating the sound of MZ.412), the 6 panel digipack and 8 pages cover insert are also worthy of individual mention. Courtesy of Margaux Renaudin the cover features stunning graphic presentation of esoteric symbolism in metallic copper on black print. As a final comment, evidently since the release of this album the project has evolved into to more defined band and relabeled under the Anima Nostra moniker. Accordingly further material in this vein is an absolutely welcomed prospect: but in the interim the album ‘Anima Nostra’ is very much worthy of your attention. This entry was posted in 2016, Cold Spring Records, dark ambient, doom drone, drone, neo-classical by noisereceptor. Bookmark the permalink.